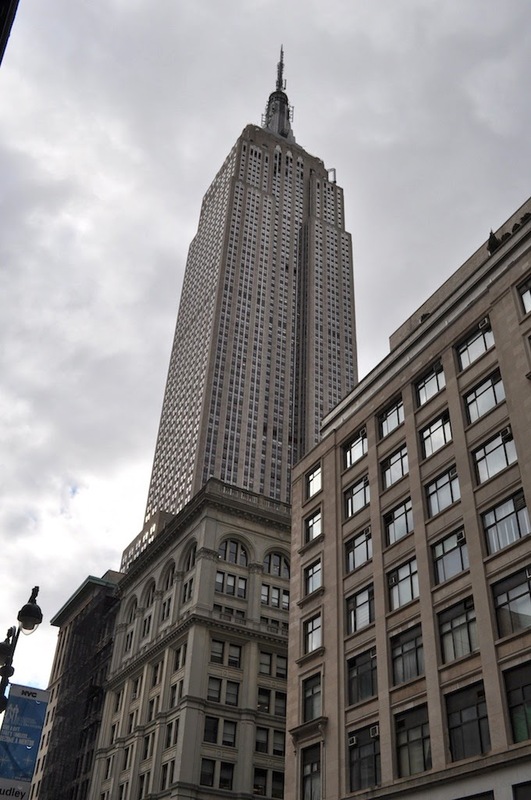 Rockefeller Center and Empire State Building | Cosa Mi Metto??? la mia new york! l'ho abbandonata da un pò!! prima avevo il grande richiamo americano - sempre a new york e west coast - ora sempre a londra! ci devo ritornare! you look really cute and all the photos are so lovely! 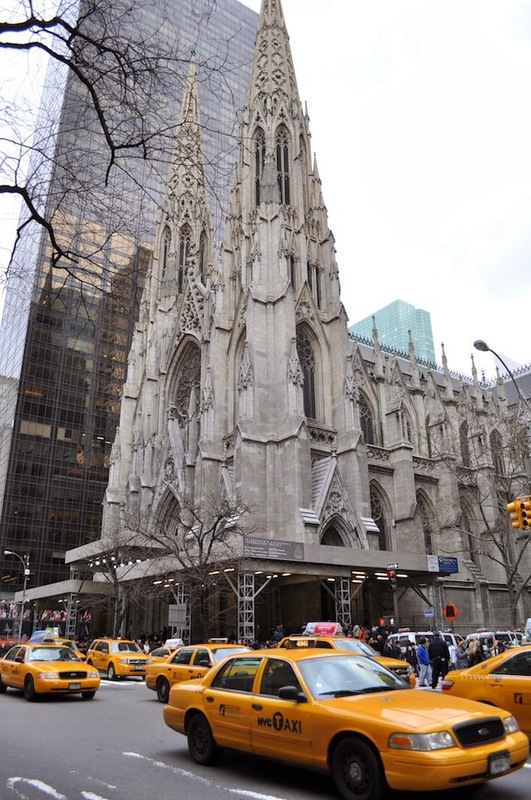 ci sono stata quest'estate in viaggio di nozze e mi sono follemente innamorata di NY! non vedo l'ora di tornarci, queste foto mi hanno messo una gran voglia di rivederla! ps. ma non c'è freddissimo adesso senza giacca là??! such a cute winter look babe! love the boots and the bag! Fab photos! Brings back happy memories of my visits to NYC & makes me want to go there again! Great pictures! You look amazing, really like your sweater! bellissime!! 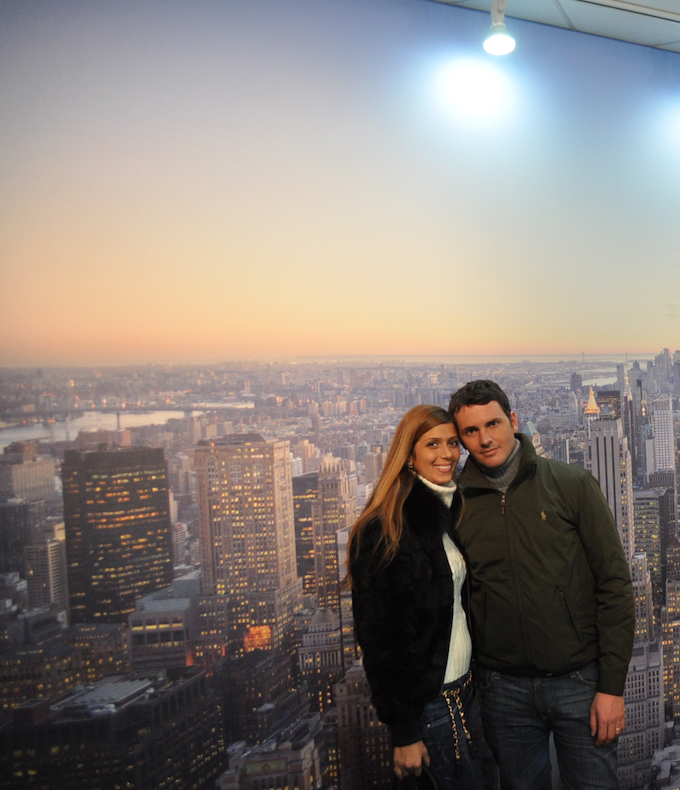 non vedo l'ora di vedere New York!! nuovo post su Parigi da me! ciao fabrizia, grazie per il tuo commento,che invidia NY sebra bellissima!!! ahah si ti seguo di certo, ricambi? buona giornata!!! Bellissima NY...non ci sono mai stata ma sogno di andarci presto...beata te!! Absolutely lovely pictures... your skyline pics are amazing! bellissimo rivedere la mia città preferita attraverso le tue foto! Molto bella New York anche in questo periodo, io ci sono stata questo agosto! Molto carine le foto!! Provo tanta invidia perché andare a New York è il mio sogno. :D Belle foto! Very nice pics!! I love New YOrk!!! IS VERY NICE AND VERY PROFESSIONAL, TOO!!!! YOU LOOK, SO STUNNING IN ALL PHOTOS!!! ALL OF YOUR CLOTHES AND ACCESSORIES, ARE SO NICE!!! I'LL BE VERY HAPPY, TO FOLLOW EACH OTHER!!! You look so cozy in those cute earmuffs! New york looks wonderful at this time of year. Amazing photos! Love your comfy outfit! 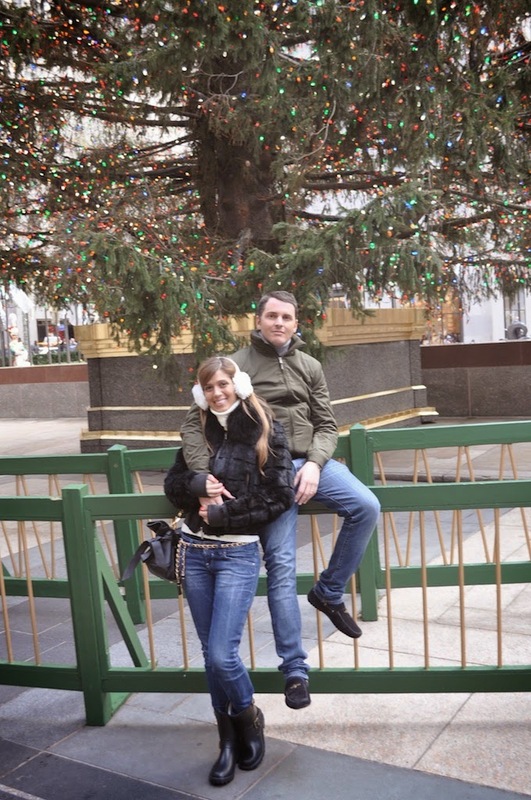 You look cute as a button in those earmuffs!Takes me back to my childhood days.And the pictures are so amazing!I love NYC! very nice look, I love your boots! i'm doing proves! sorry for troubles! Now I know what to wear this winter in Chicago. Thanks! You look beautiful and I hope you're having a good time. Adoregasm! You are too cute! NYC is always a bit too much for me...so overwhelming! Thank you for sharing your pics. It definitely looks more serene and calm than what I've experienced there. LOL! You have a new follower chickadee! Hi!I love your blog and you´re stye!! Love New York! Love your ear muffs and belt! You look soooo cute :))) Especially I loved the biker boots!! oh sweety you are so pretty and you look simply chic! so stylish and lovely sweater and the biker boots steal my attention! how i love them and they are really to die for! beautiful picture, i wish i could be there too... i envy you dear! dear i am following you, i will be so glad if you follow me back... if you dont mind, would you please to follow me back? 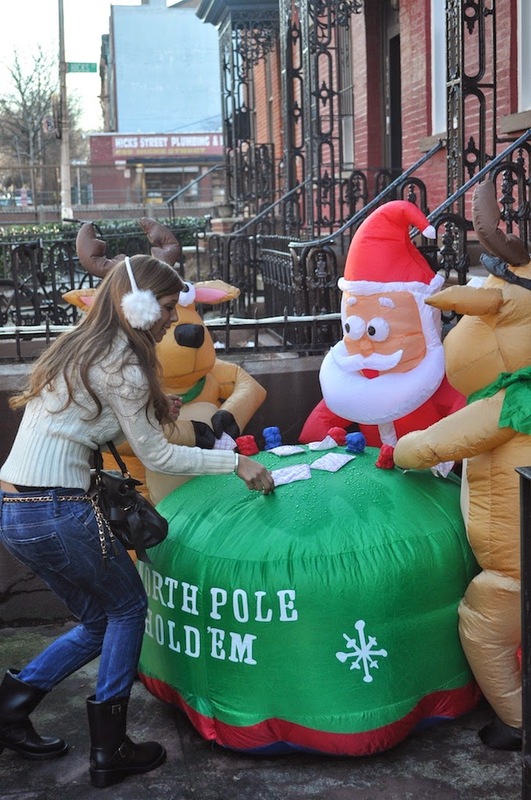 Looks like you enjoyed your time in NYC! 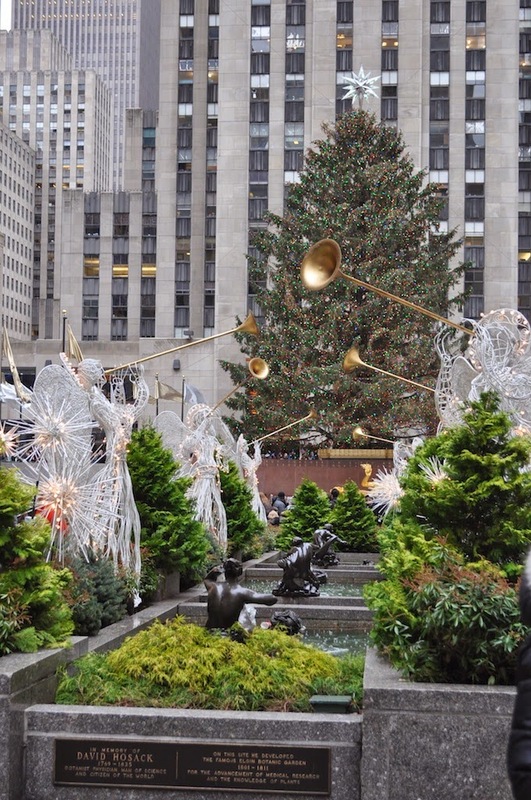 There's something almost magical about Rockerfeller Center around the holidays. NYC is beautiful and you went at the best time of the year. 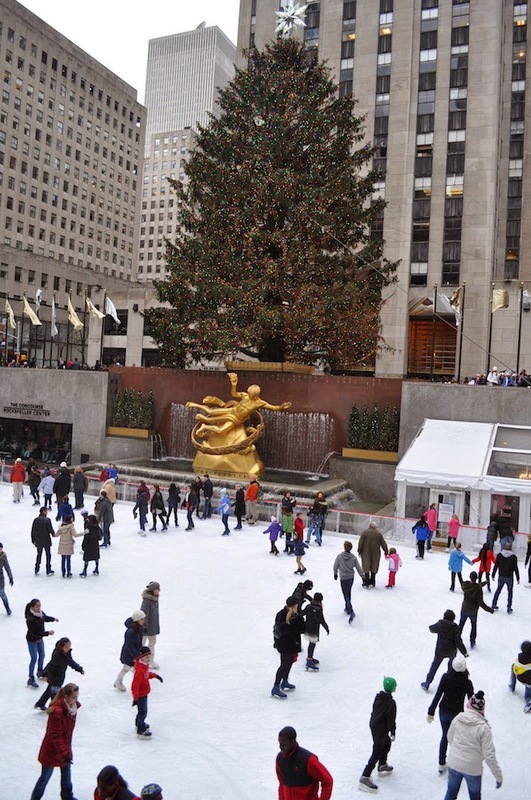 Rockerfeller Center is in all it's glory during the holidays. Beautiful pictures! Que fotos tan geniales.Estas guapisima en todas.Esas orejeras te quedan genial. Hi my dear! Such lovely pictures, looks like you had a fabulous time and I love your outfit too! thanks for stopping by! wowww toy look so happyyy in the pictures!!!!!! great outfit!!!! hope ur enjoying america!!!! che meraviglia, che foto meravigliose e tu stai benissimo!!! Thank you for your comments to my blog! You have a very nice blog with beautiful fashion photographs! Let´s follow each other! Thanks:-)I really like your blog and I befriend..very nice photos ! Ti ho risposto sul mio blog (http://lapetitedame.blogspot.com/), volevo ancora ringraziarti per il tuo commento carinissimo e dirti che ho molto piacere a diventare tua lettrice fissa ed a suguire anche la tua pagina su facebook! Ancora complimenti per il tuo blog! Queste foto del tuo viaggio sono stupende!! Nice blog! cool photos, you're so cute! that's an amazing post!!!!!!! LOVE it!!!! Hey dear! =D Love your smile! And the earmuffs are so cute! Hi! Thanks for leaving a comment on my blog! I'm following you. Do you want to follow me back? 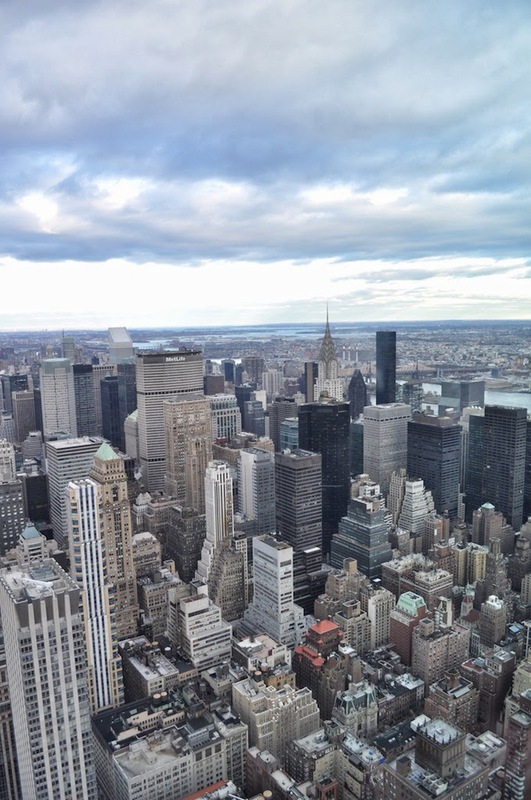 Beautiful photos, I love New York! And your outfit is super cute! thanks for the comment doll! oh my goodness, you have so many followers! Oooh your outfit is very nice, especially the earmuffs! :) Such a cool post!! Love this post!! Those earmuffs are adorable! Would love it if you could check out my latest post and tell me what you think of it! Follow me, I follow you!? you look gorgeous! I loved your outfit! s also a nice outfit! Sei splendida ed il tuo blog è fantastico, mi piace tanto! Ti seguo molto volentieri, ricambia se ti va :) Un bacione! The pictures are lovely and your look adorable in your earmuffs. Thank you for the wonderful comments on my blog. We can definitely follow each other. I just followed - it'd be great to hear back from you. Cute outfit! Adoring your earmuffs soooo cute! NY is gorgeous this time :) you're really cute! Beautiful pictures. Love the background and you look amazing! Beautiful pics and amazing look!! You look so cute with those earmuffs honey. I love your photos. The pictures are absolutely stunning and adorable!! Click here to get your own banner , once you registered for free they will automatcially grab your links and send you the huge traffic for free of cost. oh goodness, you are just too adorable! love the ear muffs. perfect!! Your ear muffs are too cute!! grazie per la visita, ho letto solo ora il commento!!! 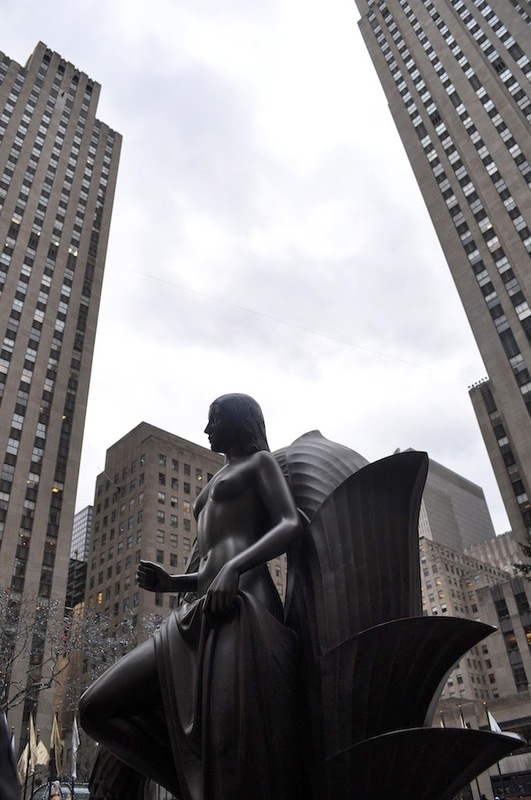 Great pics, I love Rockefeller!! and you ears muffs are soo nice! Beautiful pictures! I love NYC. Love your earmuffs too :) Following your blog now. I follow you on Google and Facebook ! Love love love the photos! And I definitely love your outfit here.. :) Hope I can visit these places too some day. nice Posts with great Pics! Thank you so much for your very nice comment on my blog: www.modelovers.com! I had this belt!! it's so nice!!!!! che invidia la tua vacanza a new york...conto di andarci presto anche io! Great pictures from NY, enjoy. Fabrizia, how is it possible I was not following you? You are my favorite fashion bloger till I found your blog few weeks ago. Following now. Mi piace questo tuo look, in versione grande Mela!!! wooww!!! Great pictures! You look amazing, really like your sweater! hii!! Thank your comment! I like your blog, it is very funny!! I was in New York in November!! your pictures are beautiful!!! a big kiss!!! @Alle: sono già tornata in Itala, le foto sono della settimana di Capodanno, comunque sono stata molto fortunata, la temperatura non era così bassa come avrebbe dovuto!!! @Anna: thank you for your explanation!!! Thank you so much for your many and affectionate comments!! Grazie mille per i vostri commenti numerosi ed affettuosi!